Associated B64 buggy shock towers front and rear set. 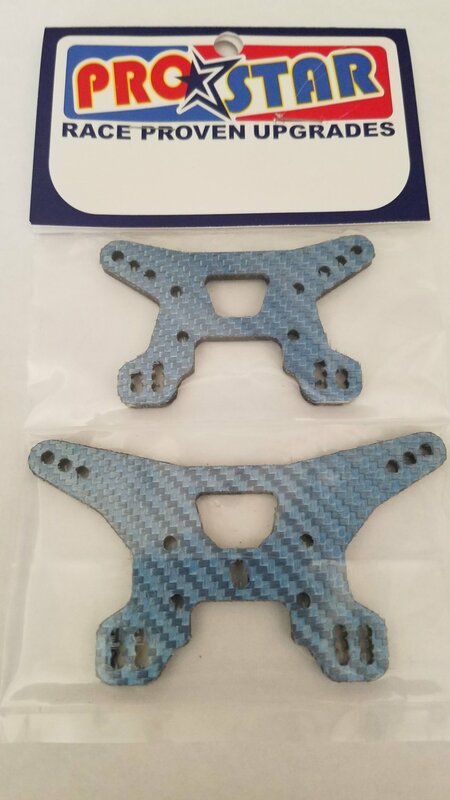 * Trick Blue Carbon Fiber!! Due to the extreme nature and the difficulty cutting Kevlar some cosmetic minor frays may be in the screw holes or complex edges. it is recommended to seal all edges with CA glue and sand off any remaining Kevlar strands if any.